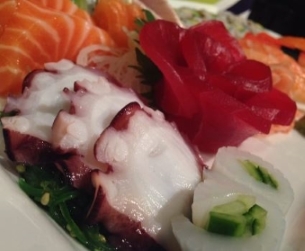 Iron Chef is the first Teppanyaki and Sushi restaurant in Mississauga. We are committed to provide all of our guests with the ultimate dining experience. Try our teppanyaki cuisine! 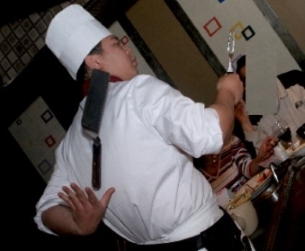 Also known as hibachi, teppanyaki allow chefs to use an iron griddle to cook food right in front of you, while performing dazzling and highly skilled maneuvers. Using traditional Asian recipes and the best ingredients available, we strive to create traditional delicacies with a modern touch. Whether made at the kitchen, sushi bar, or teppanyaki tables, each dish is masterfully prepared by our professional chefs. Additionally, our friendly and knowledgeable staff will ensure an unforgettable experience. We specialize in creating sushi and sashimi, but our other Asian dishes are just as worth trying such as our umami rich Pad Thai. Whether made at the kitchen, sushi bar, or teppanyaki tables, each dish is masterfully prepared by our professional chefs. Additionally, our friendly and knowledgeable staff will ensure an unforgettable experience. 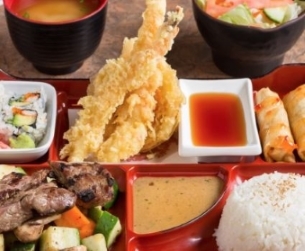 Iron Chef is the best place to find delicious Asian cuisine in a comfortable environment. We guarantee you'll have a great time! © 2019 IRON CHEF JAPANESE CUISINE ALL RIGHTS RESERVED.